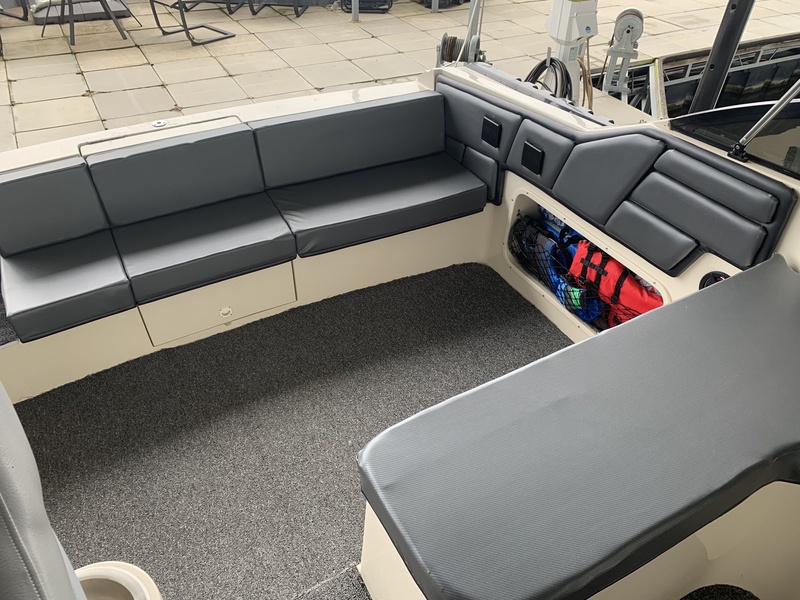 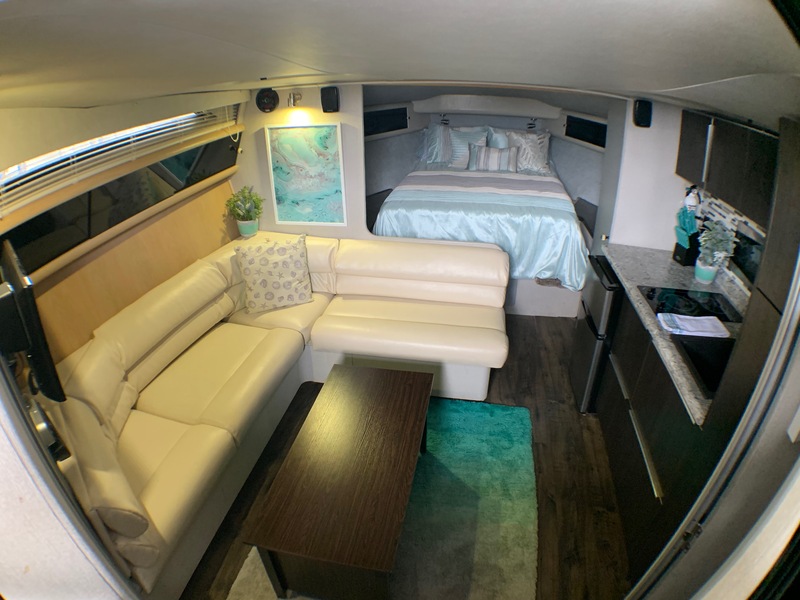 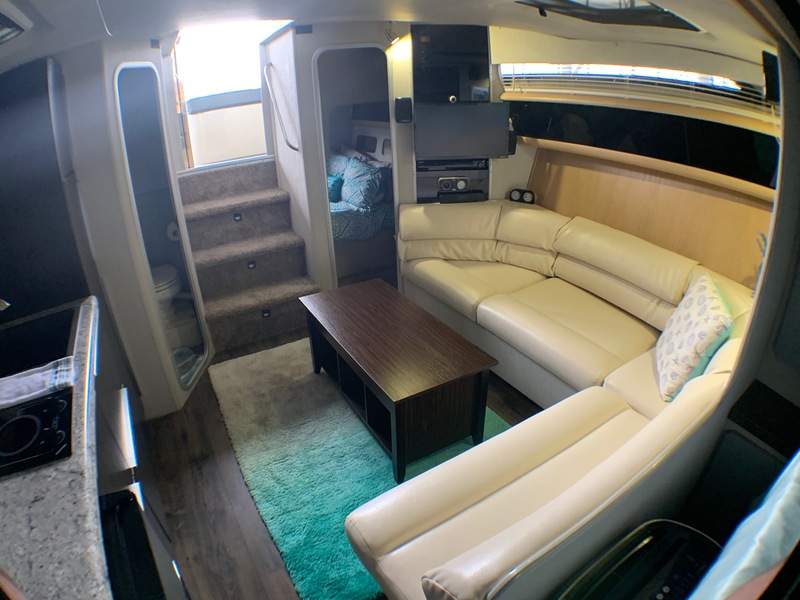 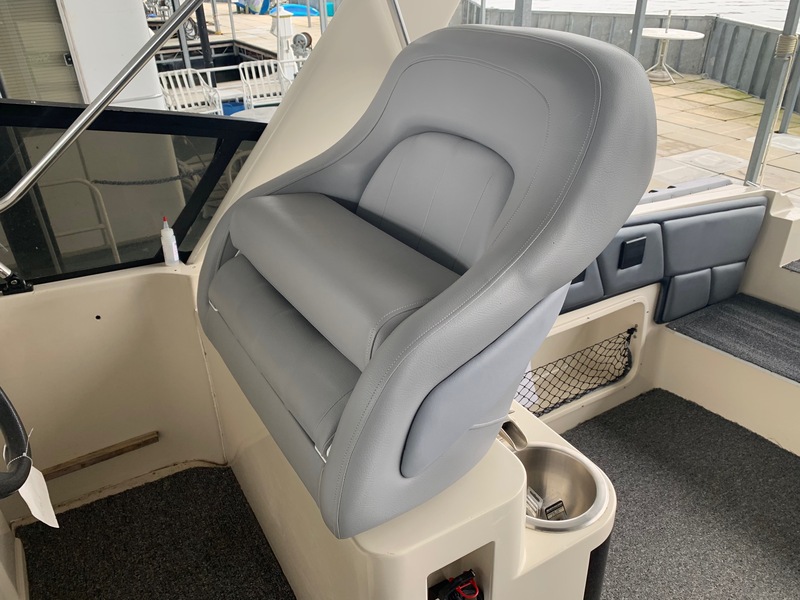 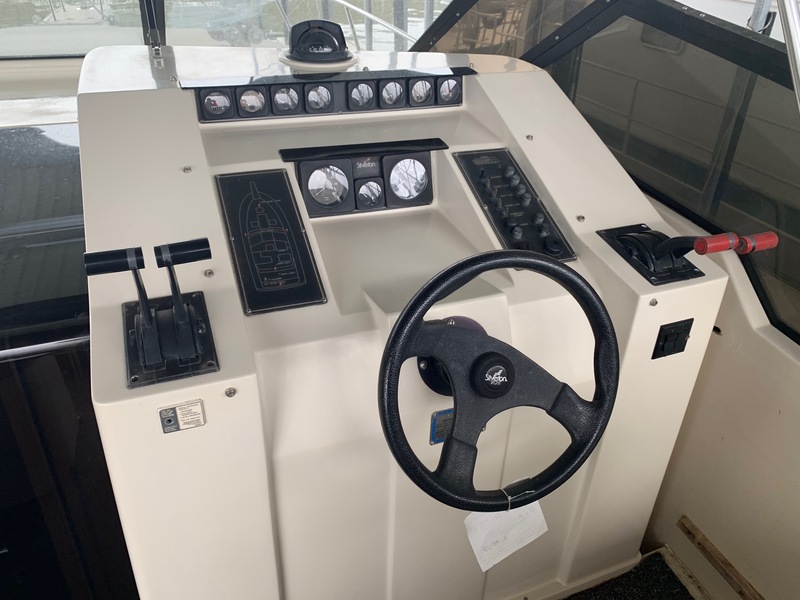 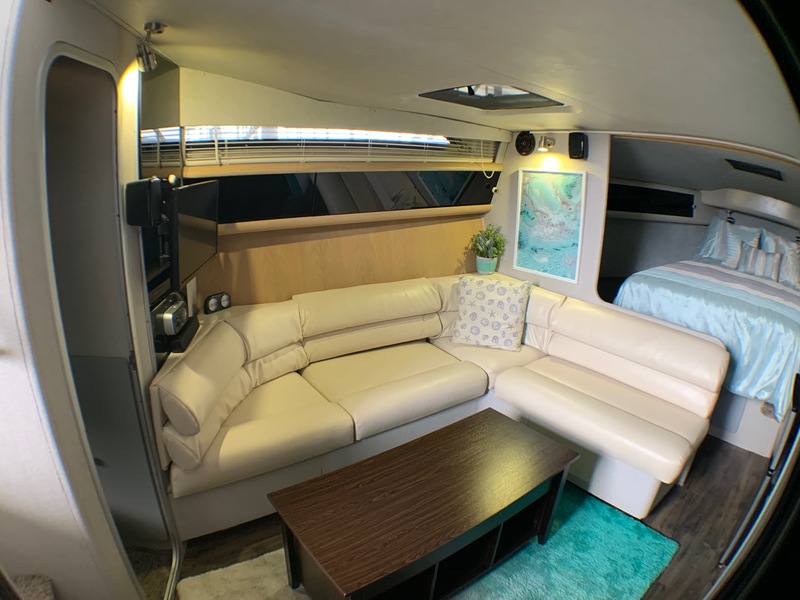 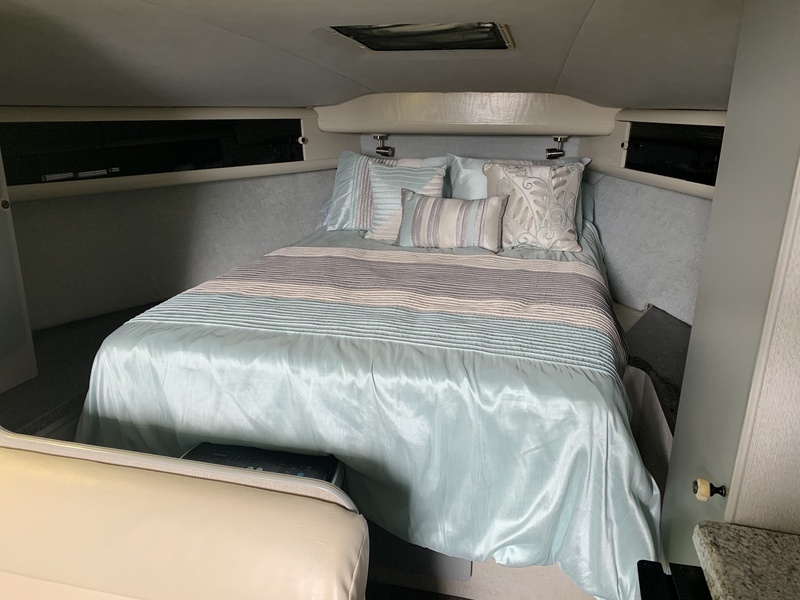 This Silverton is a comfortable budget-friendly express cruiser with a roomy interior and a wide beam to handle rough water. 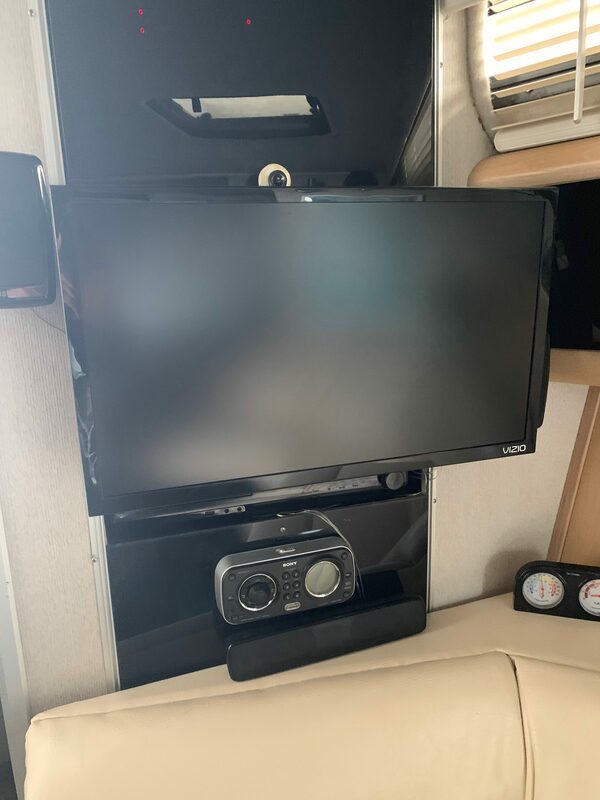 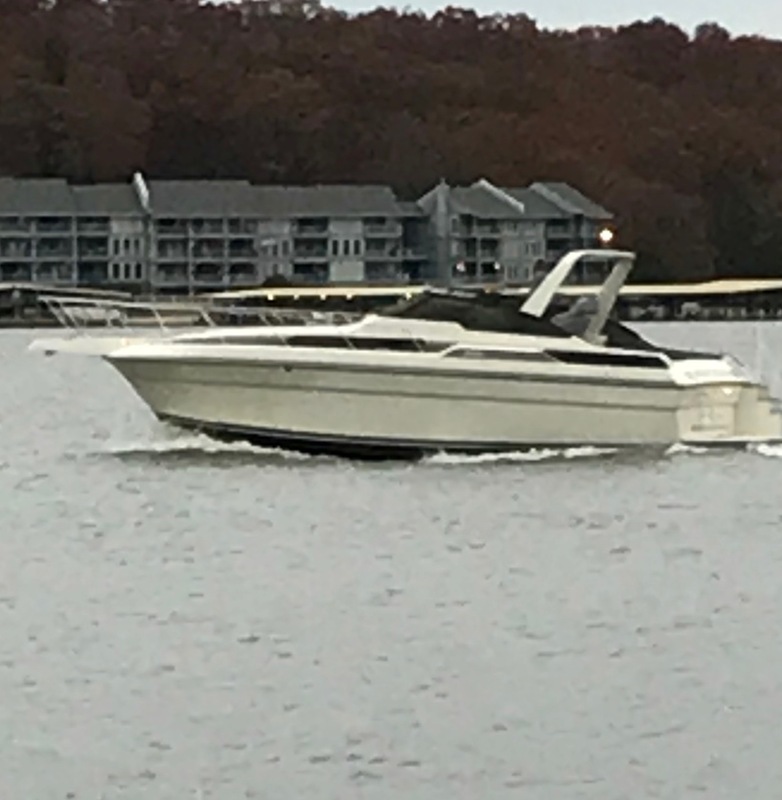 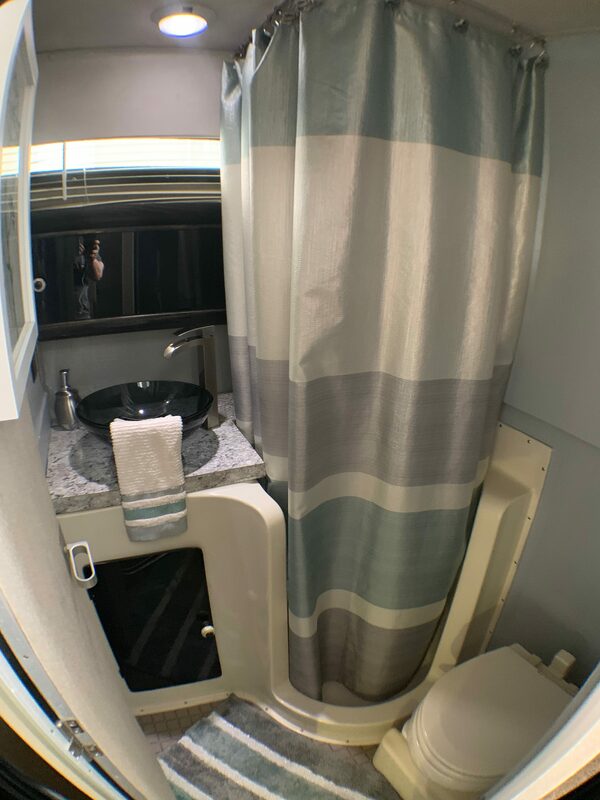 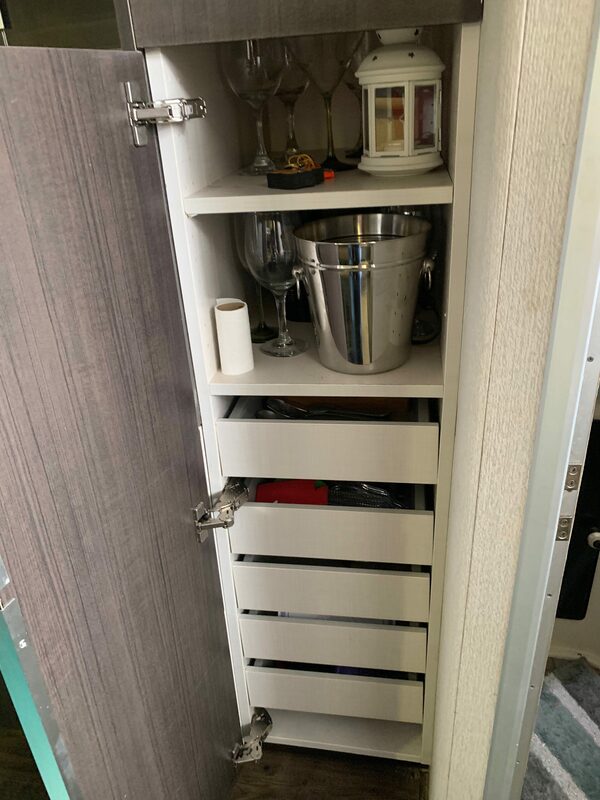 This Silverton is a MUST SEE….completely upgraded from cockpit seats, cabin flooring, completely upgraded galley, salon sofa, and MUCH MORE!! 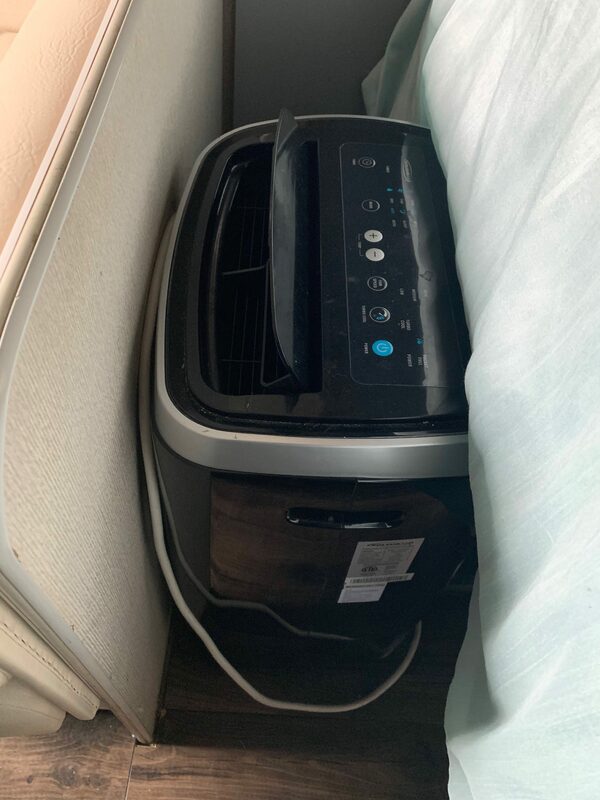 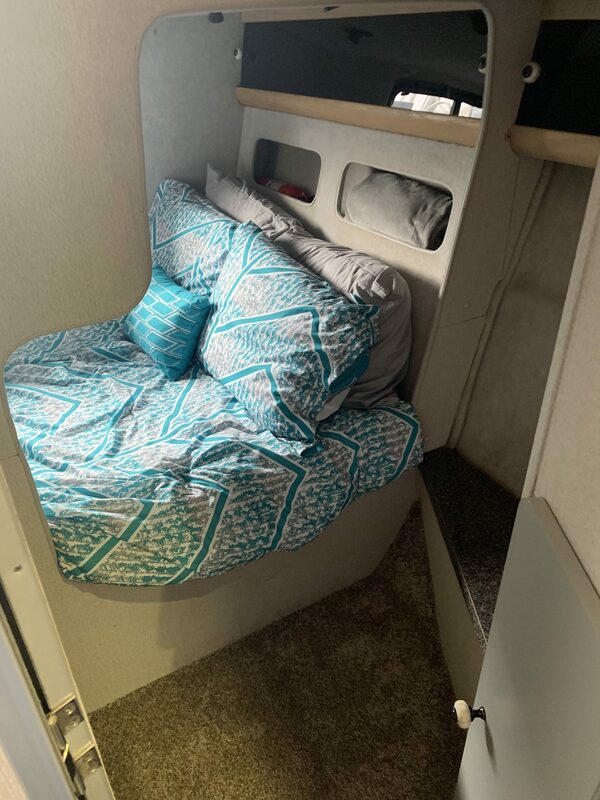 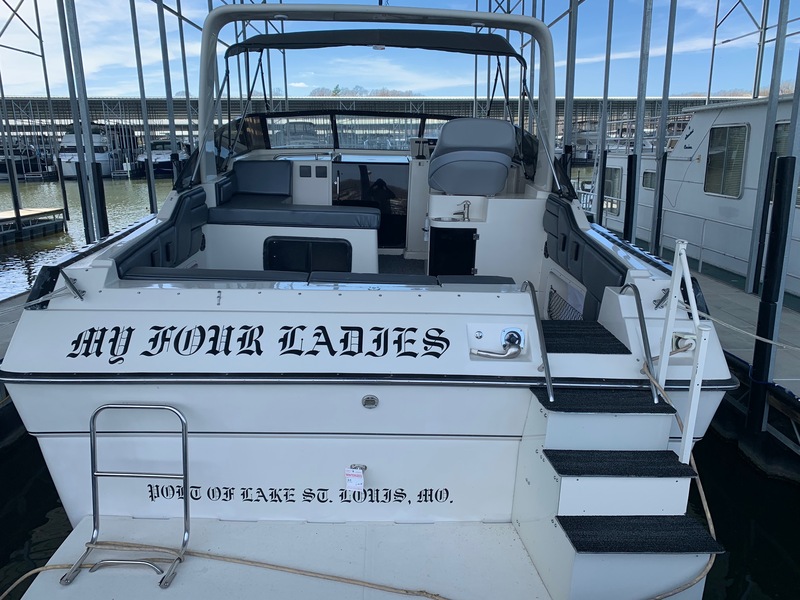 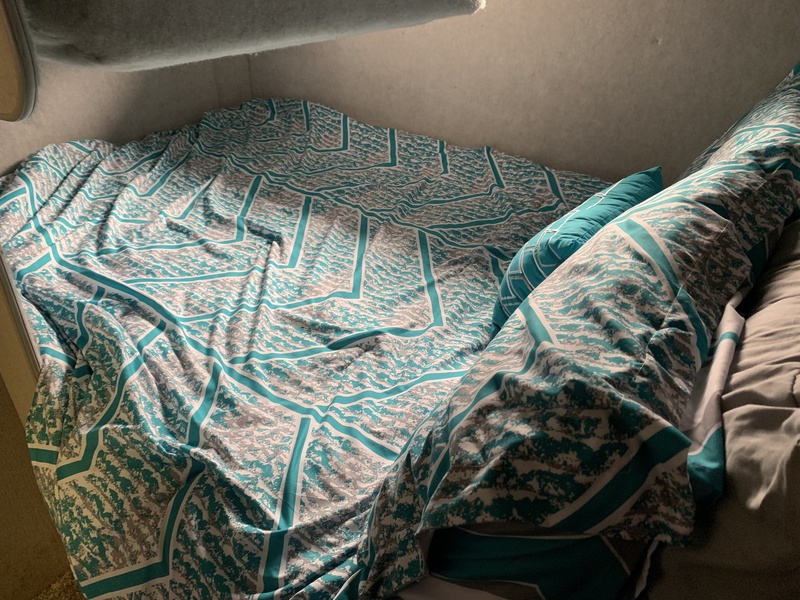 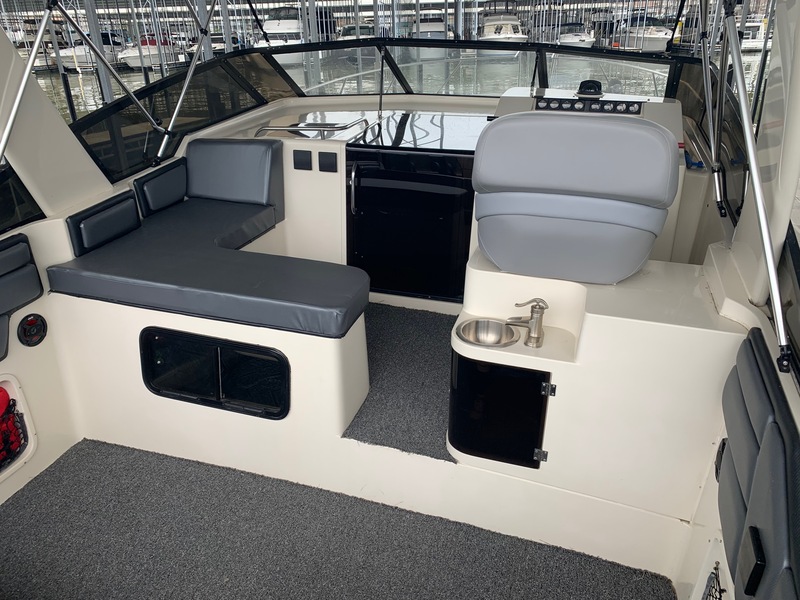 Accommodations: Queen island bed in v-berth and queen bed in mid-cabin, vacuflush head, separate shower, 27” Vizio flatscreen TV, Samsung DVD player with surround sound, and a Sony Marine CD stereo system. 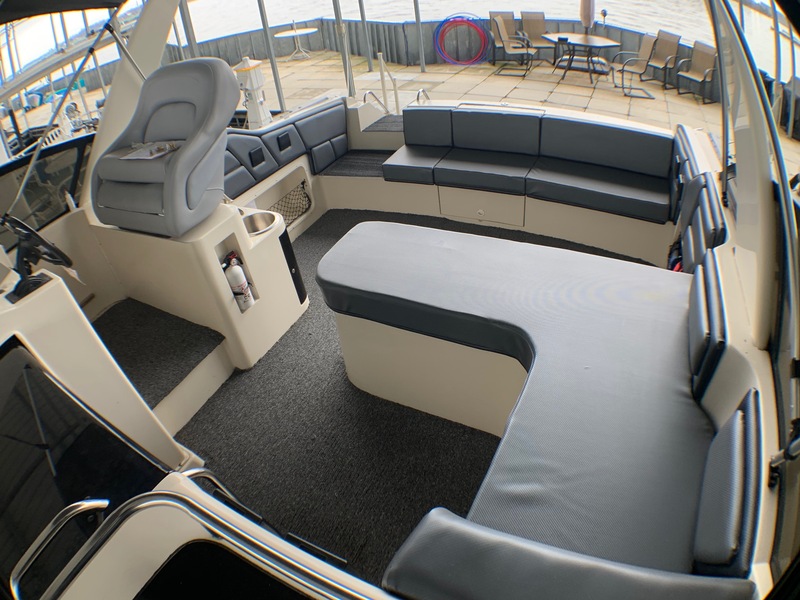 New cabin floors and new salon sofa upholstery. 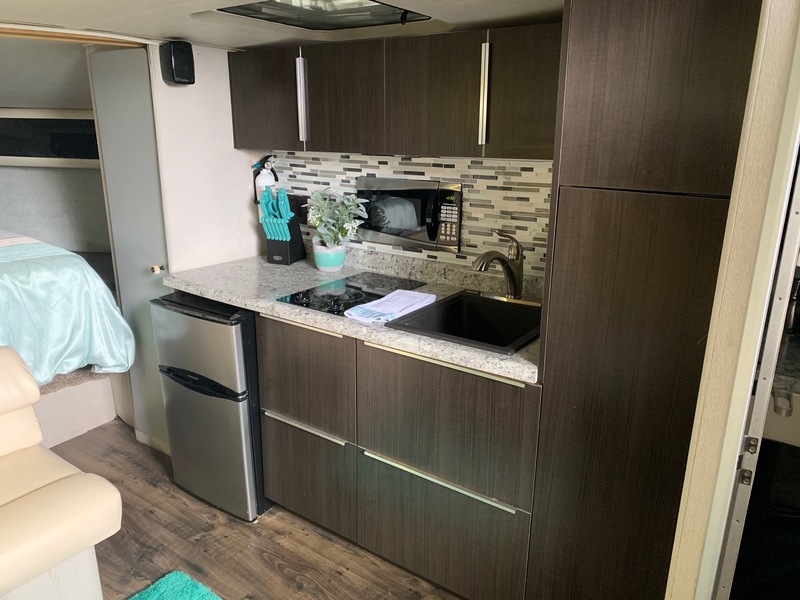 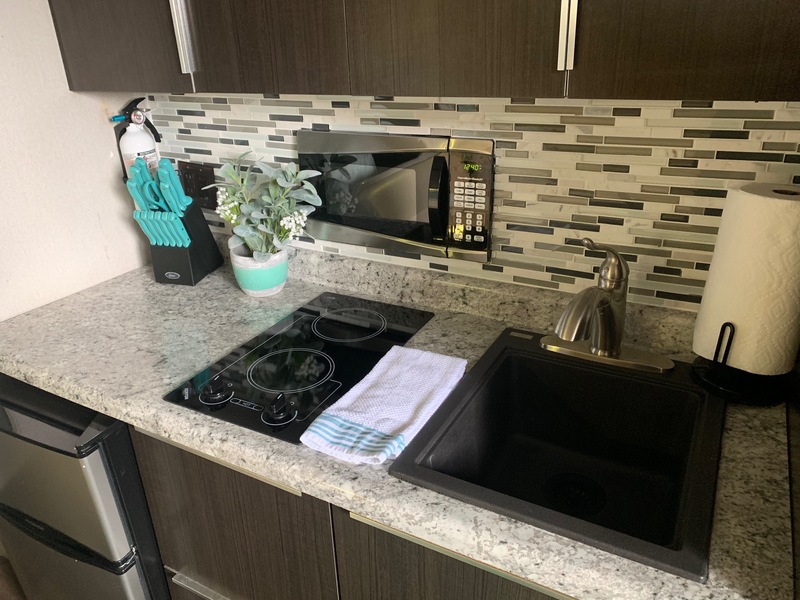 Galley: ALL NEW custom cabinets, countertop, sink, electric 2 burner stove top, microwave, refrigerator with freezer and sink. 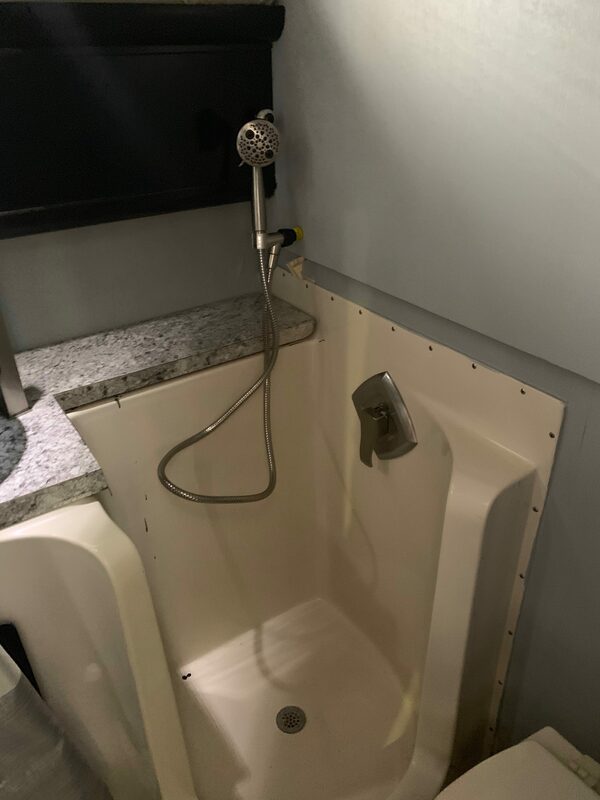 Must see to appreciate! 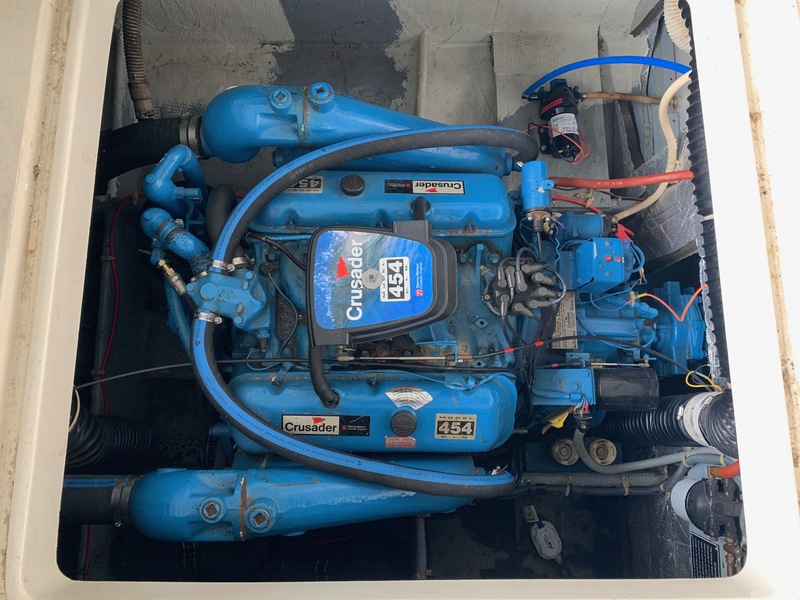 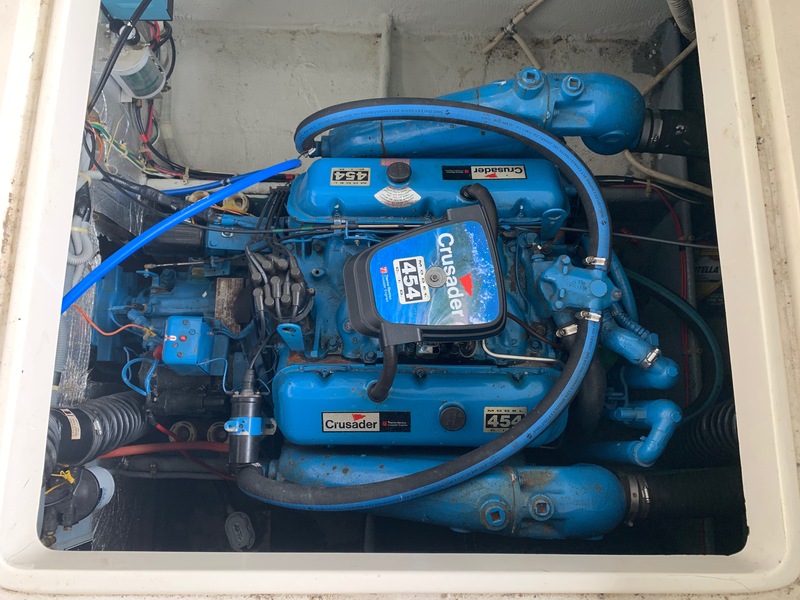 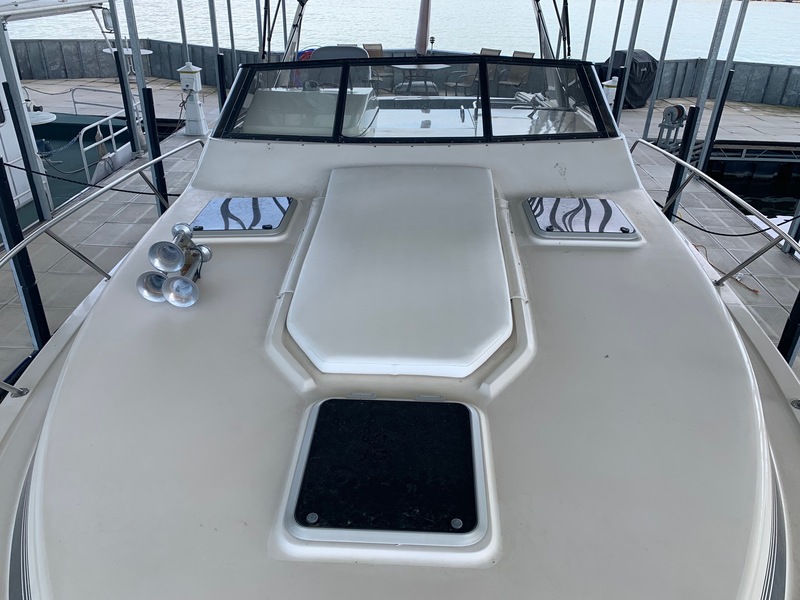 Elec/Mech: Carry on A/C and heat unit, trim tabs, water heater, and battery charger. 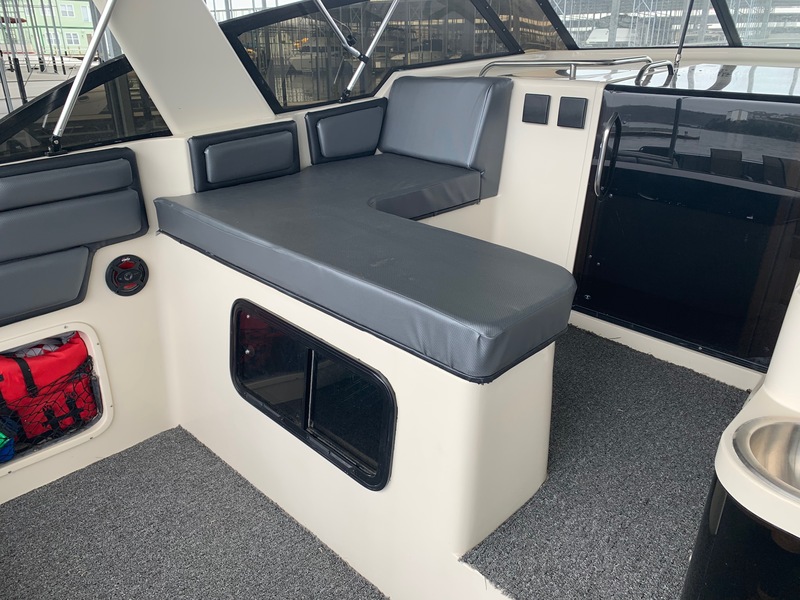 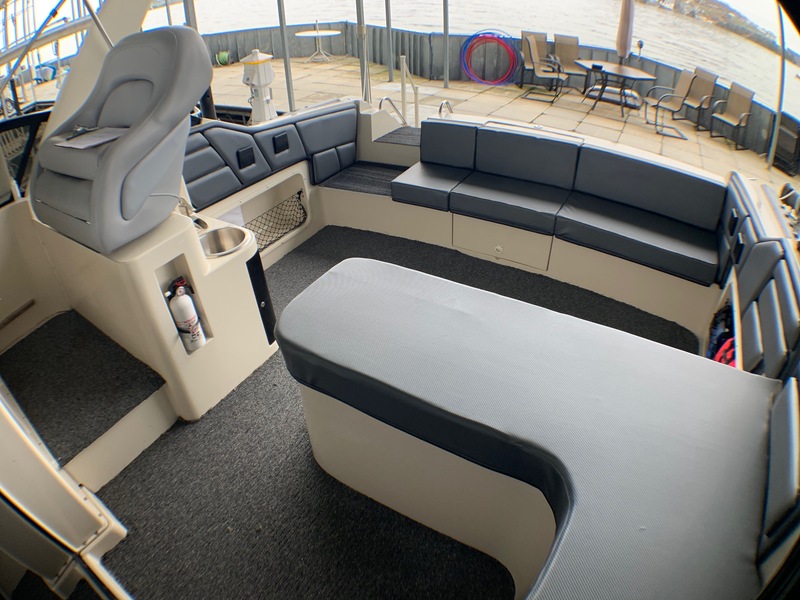 Deck/Hull: Anchor/ pulpit, dock power, compass, shore water, wet bar with sink and storage, transom shower, sunpad, swim platform, (new) bimini top, and cockpit cover.